The co-owners of a prominent seafront property leased to St Julian’s Band Club 90 years ago, have been awarded €300,000 as compensation for moral and pecuniary damages over a breach of their property rights. The decision was taken by the civil court in its constitutional jurisdiction at the end of a 19-year court saga sparked off by one of the owners, Anna Galea and taken up by her successors in title, the Galea Salomone family, together with Mercury Investments Ltd. The owners successfully argued that their fundamental right to the full enjoyment of their property had been breached. 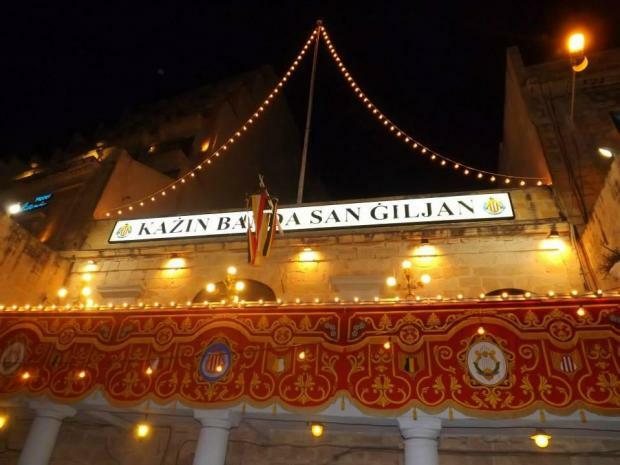 The premises situated along St George’s Road had been rented by the original owner Antonio Ellul to the St Julian’s band club in February 1927 against an annual rent of Lm43, equivalent to €100.16. Part of the premises was eventually sub-let to third parties to be run as a bar and restaurant, prompting Mr Ellul’s successors in title to attempt to put an end to the situation which was effectively depriving them of their right to the full enjoyment of the property. As from March 2000, they refused to accept payment of the rent, whilst filing proceedings before the Rent Regulation Board seeking termination of the lease on the grounds that both the sub-lease and the change of use of the tenement had been effected without their’ consent. However, in 2005 the Board rejected the claim, a decision which was confirmed a year later when the court of appeal threw out the landlords’ appeal. The landlords instituted constitutional proceedings against the attorney general in February 2013, claiming that the fact that they were barred at law from terminating the lease or revising the rent payable amounted to a breach of their property rights as safeguarded under the European Convention. The landlords argued that amendments to letting laws had not ameliorated the conditions of owners of leased commercial premises who were still bound to renew the lease and could not change letting conditions unless authorized by the Board. In this case, not only had the Board and the Appeals Court rejected their claim, but the band club’s decision to sublet the property as a bar and restaurant to third parties had been allowed to stand, thereby allowing the tenants to reap considerable benefits at the expense of the landlords, who received a pittance. The First Hall, Civil Court in its constitutional jurisdiction, presided over by Chief Justice Joseph Azzopardi, observed that a private architect had concluded that the current market value of the property stood at €2,600,000, whilst its rental value as a commercial premises in 2010 was calculated at some €152,000. Three additional court-appointed experts in 2015 had assessed the property’s market value as €1,500,000, with a rental value exceeding €1 million. On the basis of all evidence, the court concluded that the rental value of the property over a 30-year span between 1987 and 2017, after which the property was sold to third parties, was €978,194. A further €285,000 were awarded by way of pecuniary damages, the Court observing that there was “a truly substantial difference” between the lease in terms of law and the rental value of the property as determined by the technical experts. The court ordered the Attorney General to pay the applicants €300,000 in damages, together with 8% interest from date of judgment. Lawyer Paul Cachia assisted the applicants.